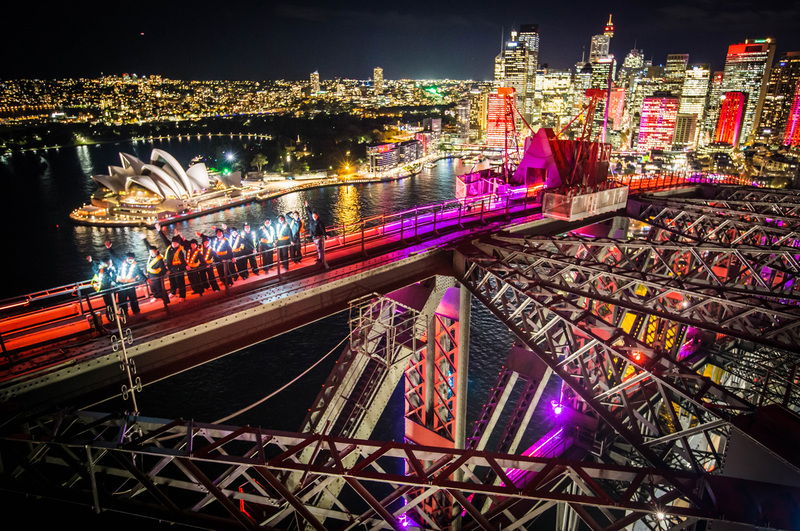 The dance floor in the sky is coming to the top of the Bridge this Vivid Sydney (25 May – 16 June 2018)! 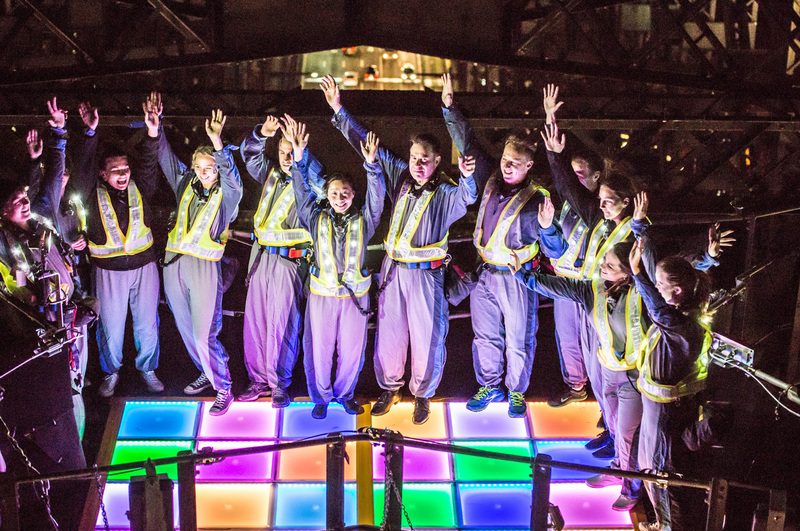 Wearing your flashing Vivid Climb Vest, you’ll climb the Bridge above the bright, bold and beautiful Vivid lights before dancing under the stars on our illuminated 70’s style multi-coloured flashing dance floor. 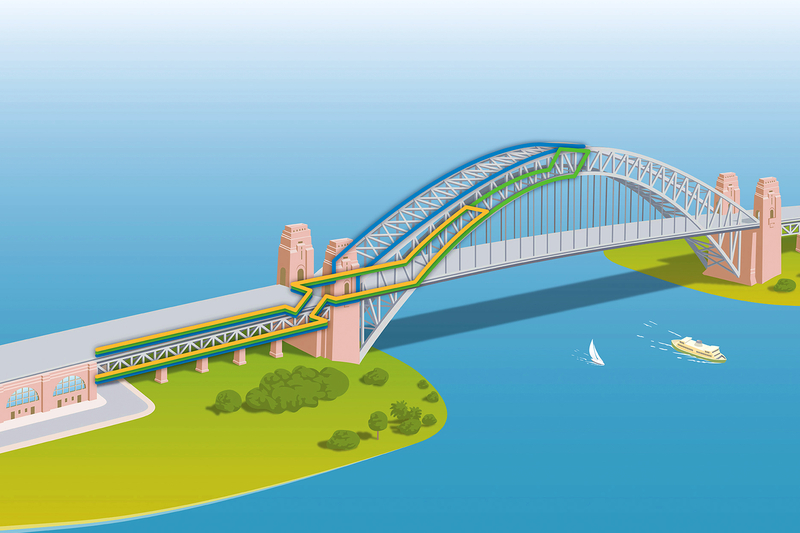 **This is a Mandarin speaking guided climb. Please book climbs noted with "English" for English speaking tours. 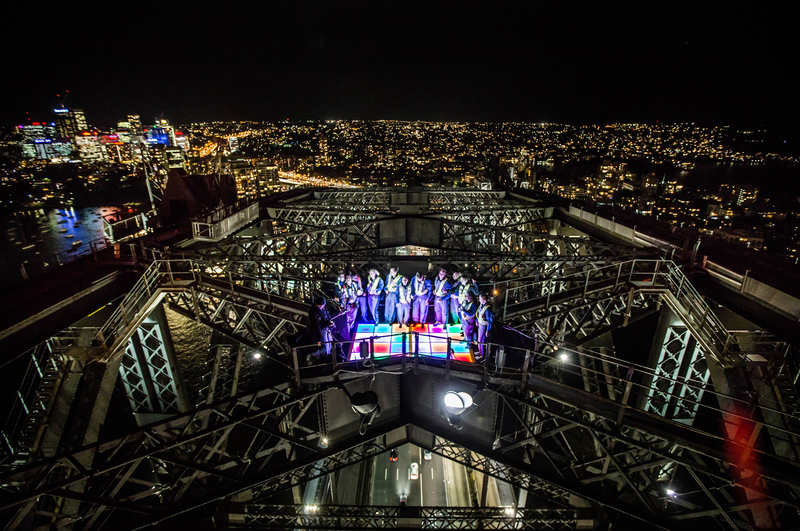 It’s time to limber up and practice your choreography – The Vivid Climb is back by popular demand with an illuminated dancefloor in the sky! 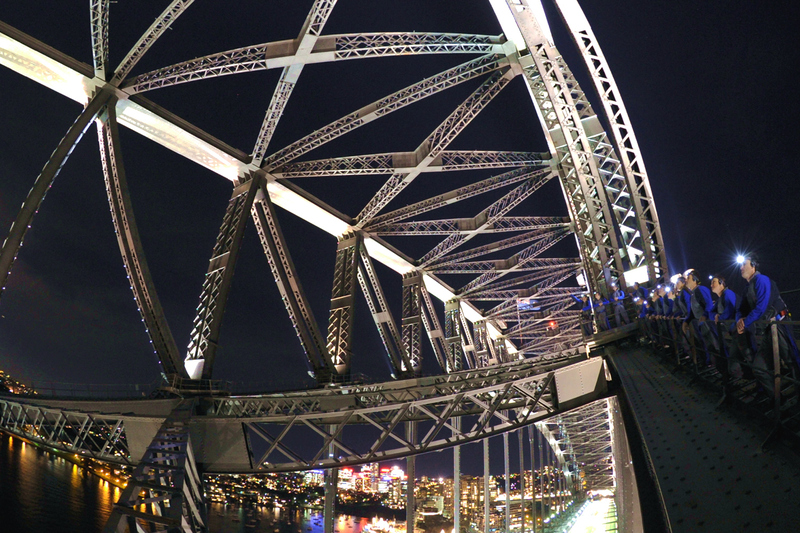 Jive, salsa or two-step the night away on top of the Sydney Harbour Bridge to a soundtrack of upbeat dance tunes, all while taking in 360-degrees of sparkling city lights. 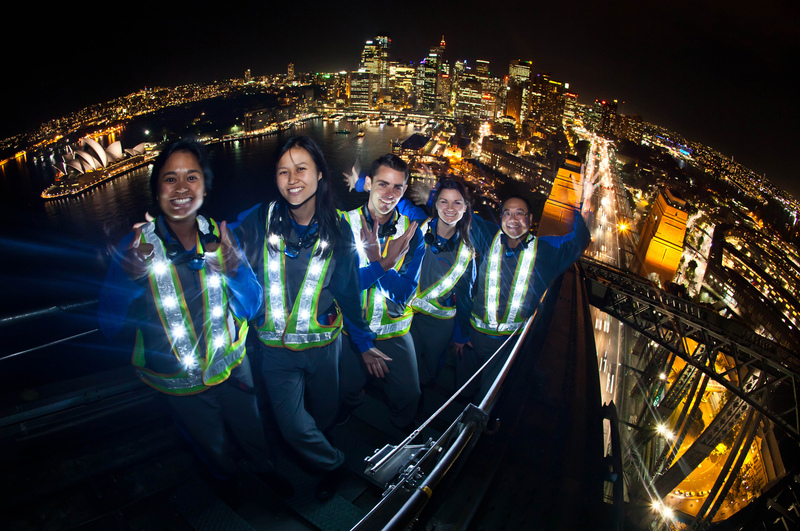 Groups of 14 will be outfitted with special flashing Vivid vests for the climb, adding to the dazzling display of light sculptures, installations and grand-scale projections visible from the Bridge.